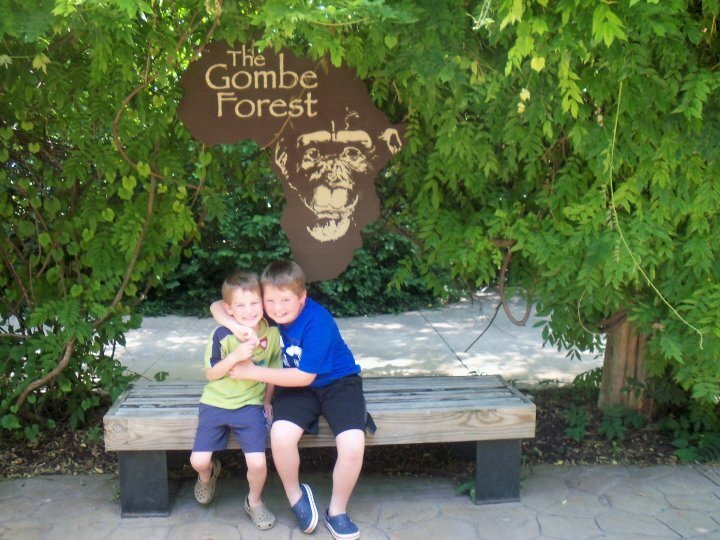 Look for something to do with the kiddos this summer? GROUPON is offering a ONE-YEAR family membership for only $27 ($55 value). Head over HERE to grab this deal. Right now thru July 31st the zoo has a special Dinosaurs exhibit as well. Last summer I took the boys to the zoo and we had a blast. Here's a photo.